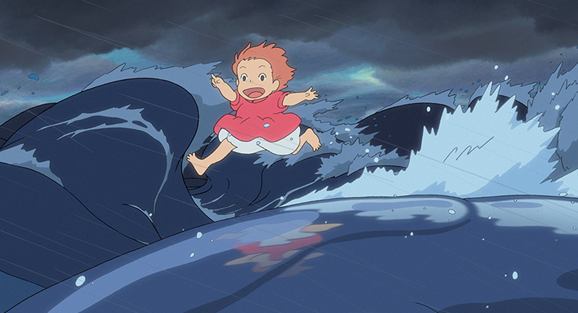 Last year, GKIDS Films and Fathom Events teamed up for Studio Ghibli Fest, bringing classic films from the one and only Studio Ghibli back to cinemas across the United States. It's now been revealed that the event will return in 2018- and is set to be bigger than ever. Last year, the festival was dedicated specifically to the films of Hayao Miyazaki. Ghibli Fest 2018 will feature nine films, and will be a mix of Miyazaki films and those of other Ghibli directors. It will include several milestone screenings- Ponyo is celebrating its 10th anniversary, while My Neighbor Totoro and Grave Of Fireflies both celebrate their 30th anniversaries this year. It's also promised that there will be "very special surprises for Fathom Events attendees only". We don't know yet what these may be, but previous event screenings have been accompanied by short films, interviews and music videos. The screening series will be preceded by another chance to see Mary And The Witch's Flower (from ex-Ghibli director Hiromasa Yonebayashi) on February 24 and 26.